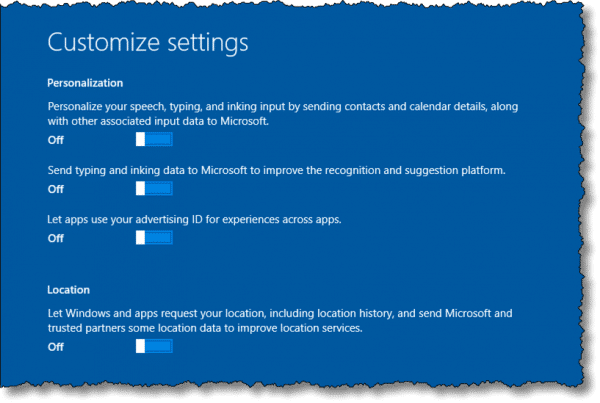 Setting up Windows 10 for privacy - Ask Leo! Windows 10 privacy seems to be somewhat of an oxymoron, at least on its initial release. I'll review choices you can make at setup to retain some control. Depending on what you read, and what’s been uncovered, it does appear that not all the privacy-related issues are necessarily in your control. As with many other setups and installs, the “secret” is to never accept default or express settings, and always choose to customize. I’ll begin by simply installing Windows 10. In reality, there’s nothing particularly special about this step in the process. 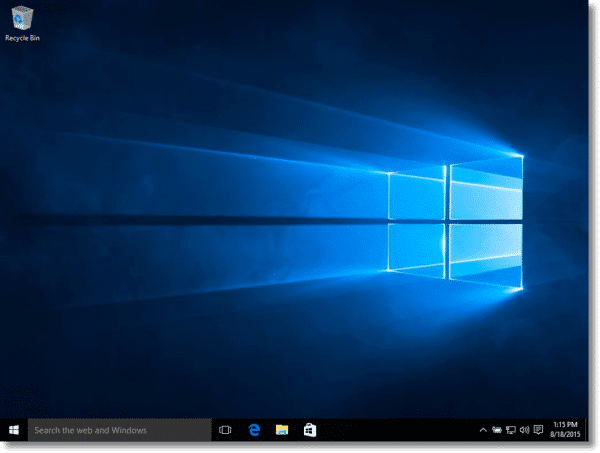 Boot from the installation media or run the update utility, and Windows 10 setup will begin to do its thing. After the standard “choose your language and keyboard” dialog that begins the process, you’ll be greeted by the familiar Install Now button, your opportunity to enter your product key, the license agreement to which you must agree, possibly a choice between an upgrade or clean install, and so forth. As I said, if you’ve ever installed Windows before, this is pretty standard stuff. You’ll eventually be greeted with a screen titled “Get going fast”. The goal here is to have you accept all the default settings listed by clicking on Use Express settings. Take a few minutes, instead, to read through what you’d be agreeing to if you did. You’ll send your calendar and contacts to Microsoft, along with a relatively vague “other associated input data”. You’ll send your location information to Microsoft and other “trusted partners”. You’ll send your browsing history and information to Microsoft. You’ll automatically connect to open hotspots and shared networks. Now, an argument could be made that, with the exception of automatically connecting to hotspots – a new feature that I covered in How do I turn off Wi-Fi Sense (and what is it?) – these are things that either Microsoft or your equivalent service provider have quite possibly had access to for a long time. For example, your mail provider knows your contacts, and your ISP knows your browsing history. That’s simply a necessary side effect of providing their services. This, however, feels like more information, and more concentrated with a single entity – Microsoft – and it has many people concerned. In very light text at the lower left of this screen is a link to Customize settings. Click on that. You’ll be taken to a screen where you can make individual choices about various privacy-related options. For maximal privacy, turn them all off, and click Next. This screen includes additional privacy-related settings. Once again, I recommend turning them all off, with one exception. Personally, I do allow SmartScreen to remain enabled as an additional level of security against malware and malicious sites. 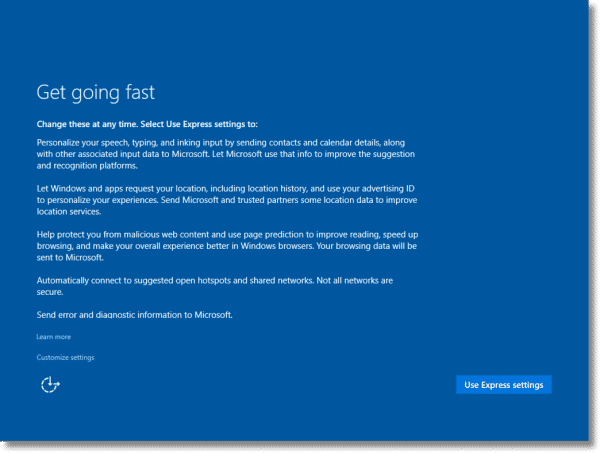 This does involve letting Microsoft in on your browsing history, so if that concerns you, turn it off as well. The other setting, at least on my screen, is unintentionally hidden. As you move your mouse over the screen, you might notice something appear (and disappear) on the far right. What you’ll notice is a scroll bar. Its presence implies that not all the content is visible on the screen, and you need to scroll down to see additional options. In my case, I needed to scroll down in order to expose the on/off setting for sending error reports to Microsoft. I choose to leave that on, but you may, of course, turn it off to avoid sending this information to Microsoft. Keep an eye out for disappearing scroll bars – they may indicate that there’s more to look into than what’s on your screen right now. Click Next, and setup will resume. After answering whether or not you own this machine or a corporation does (I’m going to assume that you own your own machine), you’ll be asked to “Make it yours”. The email address and password you provide are that of your “Microsoft account”, if you have one. You’re also given the opportunity to create one, should you not already have one. 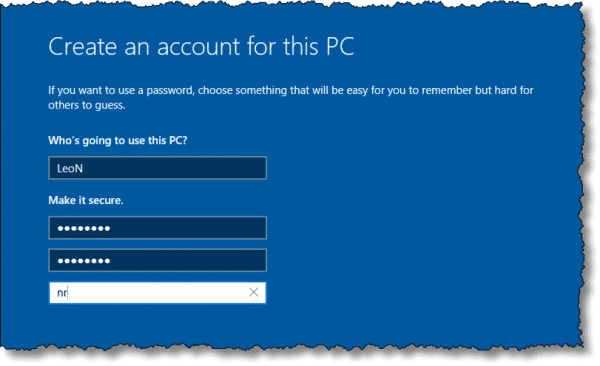 There are pros and cons to using a Microsoft account. This will become the login for your machine, and it will be associated with your online account. Certain features, like Cortana, OneDrive, and the Microsoft Store, require the use of your Microsoft account. You’ll be able to change your login credentials – like your password – without actually needing access to your machine. You may be sharing even more information with Microsoft about how and where you use your computer. It’s yet another online account to manage. Needless to say, many are concerned, and choose to operate without a Microsoft account. To do so, click Skip this step, found in smaller text and fainter colors at the bottom left. You’ll then be asked to create a local machine account, as in previous versions of Windows. Enter an account name, password, and password hint, and then click Next. Windows then moves on to the next phrase of its setup process. And after a short while, Windows 10 is ready on your machine. The privacy issues around Windows 10 are as important as they are murky. On one hand, these are often issues that we regularly accept on other platforms, with other companies and using other technologies, without so much as a second thought. It’s very possible – likely, even – that the information collected here really is used to improve our experience with Windows, as well as to make Windows a better operating system for everyone. On the other hand, in Windows 10 Microsoft seems to be taking information gathering to a level never before seen in their flagship product, while also perceived as being less than transparent about what is collected, whether we opt out or not. Regardless of the outcome, it’s important to be aware of the choices made available, even if they’re not the default, and make our own decisions as to how much we want to share. Is “Windows 10 Privacy” an Oxymoron? - Windows 10 has been criticised for encroaching on users privacy. Is it an issue? Is Microsoft being evil? Or is it something else? « Previous post: How Do I Decrypt Files Encrypted by Ransomware? Personally, those three pros are features I’m not interested in. Cortana – I find it easier to type into a search engine with similar results. If I want to talk, I use my the voice assistant on my phone which doesn’t store all my financial information. 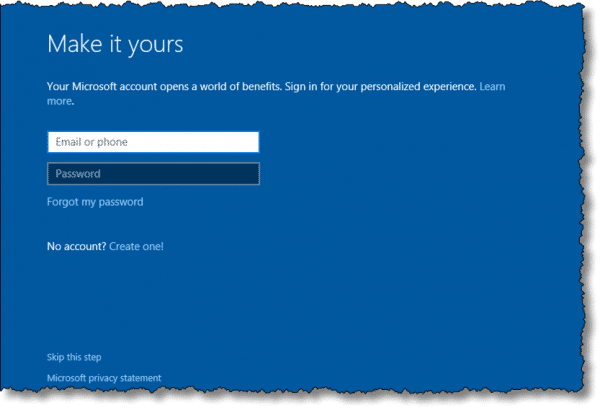 Microsoft login – Definitely not a convenience. While using a VPN, Microsoft decided that someone was trying to hack into my account and forced me to change my password. There was no way to tell them it was I using it. Microsoft Store – I’ve been using Windows 8 since the first day, and I haven’t found a Store App which I wanted. It a computer not a device. I have never used a Store app either, until I discovered Microsoft’s Sway. It’s definitely worth a look. How do I re-check these settings after Windows 10 has been down loaded? I already installed it too! on my surface pro 3; and I’d like to know the same thing; can I still protect my privacy (and take advantage of Leo’s privacy settings on windows 10 that he talked about in the article) if I’ve already done the free upgrade? or are we better off ‘reversing’ the upgrade and starting over? Or if we do ‘re-check’ those settings (if there’s a way), is it essentially ‘too late’ because the install was already done? If you mean installed, I’ll have an article on that upcoming. If you mean downloaded but not yet installed, then just follow the instructions in the article above. Please let me know how to re-check my settings now that I have Windows 10 installed. I can’t vouch that this includes all of the privacy settings, but this is what I did. Click on the Start Button. Click Settings. Click Privacy. Click General. Change all of the options to off on that page. Click on the top where it says settings with a back arrow and then if you prefer not to share your location with your apps, click Location and turn all of those settings off. Go back to Settings. You can go down this list on that Settings page and turn off sharing for any you don’t want to share information with. Then click on Network and Internet from the main Settings Window. Click on WiFi. Click on Advanced. If you aren’t using your computer on a network, you can turn off Network discovery. If you are on a metered connection (you have a limited amount of GB allowed monthly), you should turn on the Set as metered connection. Click the back button and select Manage WiFi Settings. From there turn off Connect to Suggested Hotspots and Connect to Networks Shared by my Contacts (the infamous WiFi Sense). When I installed Windows 10, I clicked the Customize Settings and chose not to share anything. Then once I had installed it, I went to that settings page and turned off even more settings, so I’d suggest to people who’ve done the customized setup, that they still go through the settings to see if there are any other privacy settings they might want to change. And if you know of any more post them here in the Comments, and we might eventually come up with a complete checklist. Do you recomend using Zone alarm free version with windows 10? Just to see if there are other unkown sources of information being sent out. I don’t use Cortana or the app store either. If I need something, I can find it at the developers website quicker by searching for it. That way I get the original ( with all the features ) app, instead of the MS modified ( sometimes ) app. I’ve been reasonably lucky with my install of Win 10, but I know of others who have had to revert to Win 7 because things just won’t work for them on 10. The best way to change these settings after the fact if you chose express settings is to open the settings app & go through each option & category double checking the defaults. Leo may know of a better way but that’s the most thorough way I could think of. I was not mindful, and installed Windows by clicking on the default settings. Yikes! I very much would like to reset. Is it possible? I know others above had the same or similar problems and am hoping, Leo, that you will address this issue in your next installment. Thank you for the valuable information you share with us! We need your help Leo to help us reset or make the best decisions! Thank you! I installed Windows 10 on my father’s computer just yesterday. I was curious how his recommendations correlated with what I did. Looks like we agreed – I did everything he suggested. I was uneasy about doing this upgrade because it wasn’t my computer and I suspected that there would difficulties. I did an image backup and cleaned up every problem I could find, all for naught. It was a big non-event. Nothing went wrong. It installed fine and worked fine without a glitch except I had to reinstall Proxy Cap, his proxy control software. He’s happily back to work. Transferring him from Windows 7 to 10 was almost a non-event too. I wish there was an edit feature in comments. I meant Leo’s suggestions, not my father’s suggestion, like the antecedent above made it seem. Follow Leo’s instructions for privacy when installing Windows 10. Then, after installing go to the “Start”/Settings and go through all the privacy and security settings. You will very likely find settings that you don’t agree with that the install didn’t cover. My computer wasn’t updating Defender and other updates when I thought that it should be done automatically. I went into the Control Panel and discovered that Windows Update was set to update at 2:30 AM. I changed the time to when I am usually using the computer and have not experienced any problems updating since the change. On the first page of Settings, Privacy Location Camera, at the bottom is Background Apps. You might want to turn off a lot of the things in that area. This can conserve computer resources and power if you turn off what you don’t want/need/use what you see. I will do as instructed above I guess; but more important question: is the damage already done? (if you already did default install?) is the cat out of the bag? are we better off ‘reversing’ the upgrade and starting over? Definitely not lost, see my other comment on what I did to securitize the privacy settings. 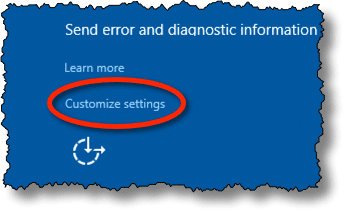 I would suggest checking those even if you do the Custom Installation as I found a few settings the custom setup didn’t change. Great column for the people who have yet to install windows 10. However for those of us that did use express settings, how do we get our privacy back? Please put out a column. 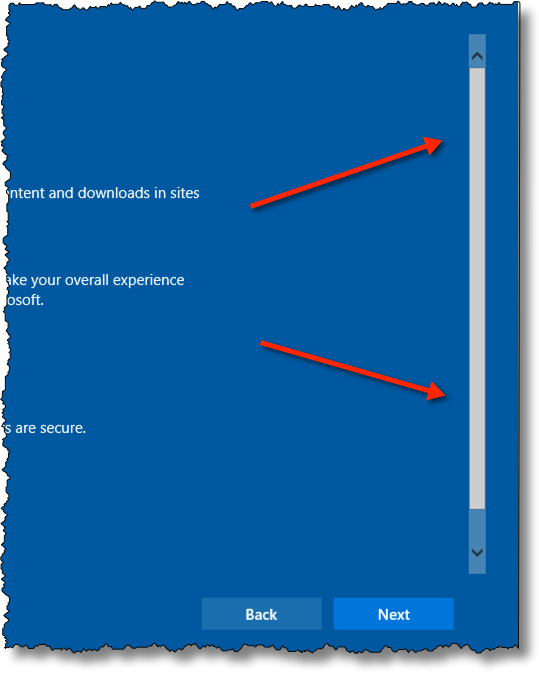 I posted a comment elsewhere on this page on how to change the privacy settings from within Windows 10. I can’t say for sure if those are all the privacy settings which exist, but they do cover all of the settings (and more) that can be set using the custom installation. I would like to see a complete review of Windows 10. Maybe a comparison to Windows 7. For example how does the Windows 10 music app compare to Windows Media Player 12? Can the Windows 10 music app rip music from CDs? Can it burn music to CDs? I think a complete review of Windows 10 would be beneficial for those of us who have not yet downloaded Windows 10 although I am very glad you have informed us of the privacy issues. I have heard that when windows 10 updates you have to go into settings again after the update and reset all the privacy settings again. Is this true? On the subject of sharing information with Microsoft, I have another worry. Before getting on with the actual installation, Windows appeared to spend about two and a half hours scanning my hard drives, including a 3TB external drive only used for data. What did they get from that? Very helpful discussion, thanks Leo and Mark especially. i am about to download Windows 10 . Does all the above apply whether you click on Upgrade this PC now or Create installation media. I have been advised to go with the former because it is simpler but does it allow for customizing privacy settings? You should be able to change the security settings after installation in either case, although, it’s probably easier to do it at the time of installation. Personally, I prefer downloading the .iso file and installing it from a DVD or USB flash drive. In case you don’t know where to download the .iso, you can download the appropriate version of Windows 10 (the version corresponding to your current OS) for free from Microsoft. Thanks for this post awhile back. Today I finally upgraded my Thinkpad Yoga running 8.1 to 10. Seems fine. Quicken started up. Microsoft products started up. Scanner scanned. So seems pretty tame for now. Can I upgrade Surface Pro to Windows 10? I didn’t find it in the app store. You should be able to. I upgraded my Acer Windows 10 tablet. Hurry you only have a few hours. If you’re not offered the free update through GWX, you can download the appropriate version of Windows 10 (the version corresponding to your current OS) for free from Microsoft and burn it to a DVD or unpack the .iso and run it directly from your hard drive or an external drive. It will register automatically if you have an upgrade eligible version installed. Don’t see why not, but I’m not sure I’d expect it in the app store. You may have to download it yourself, or accept the upgrade when offered.